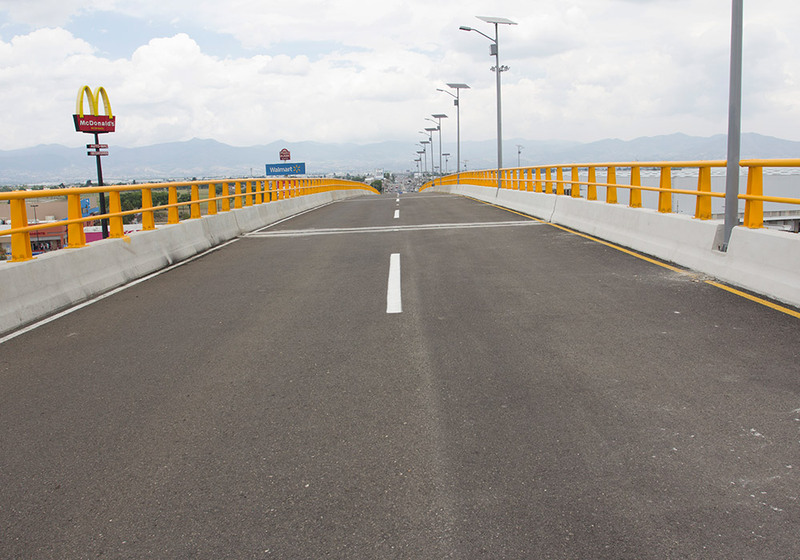 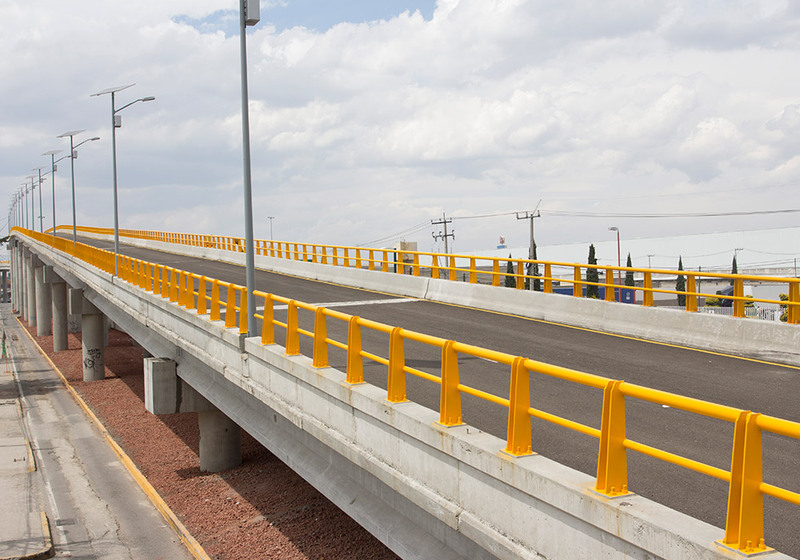 The intersection eases traffic flow between Airport Boulevard and the Toluca-Naucalpan Federal Highway, a key area in the Toluca's metropolitan area. 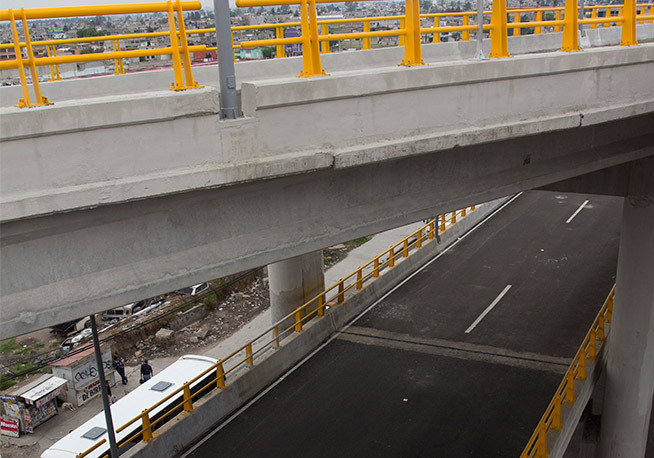 Works on the first phase started in April 2014, and it was turned over in December of the same year. 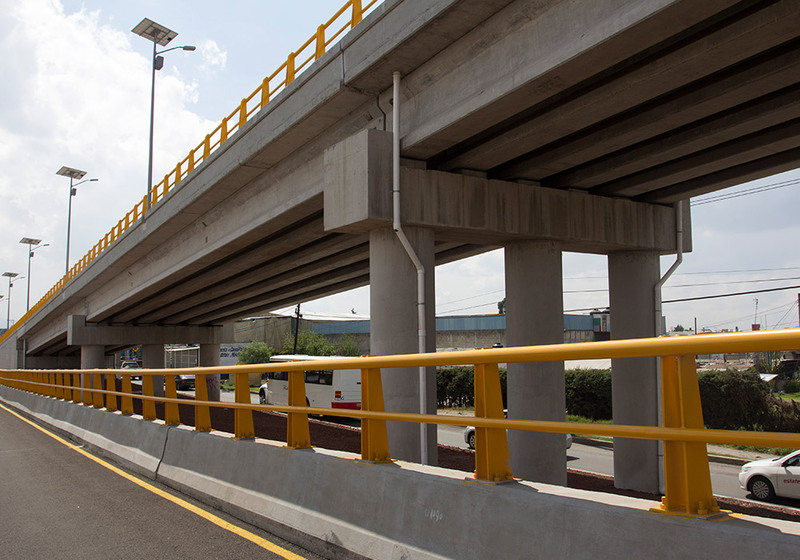 The project, with a length of 3,500 metres, facilitates traffic flow in the area with a view to reducing travel time and costs. 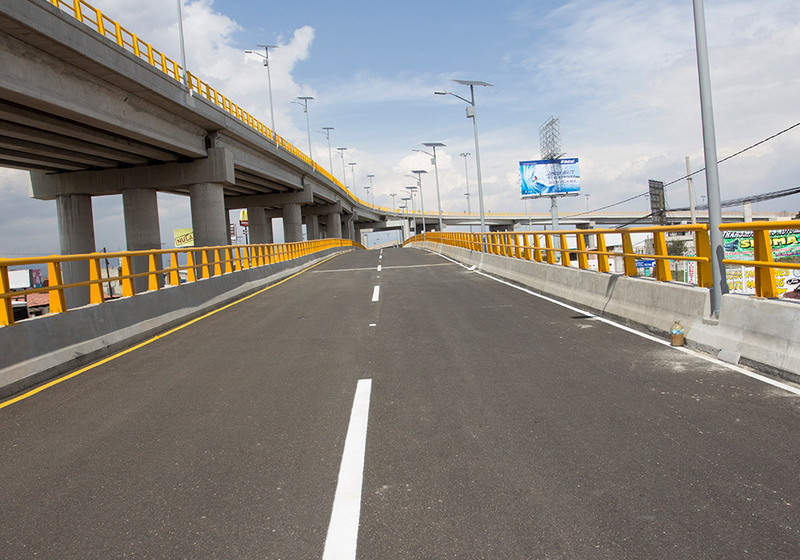 The project included construction of dirt roads, drainage works, foundations and structures (vehicle bridge, mechanically stabilized walls), asphalt course, horizontal and vertical signage, as well as other ancillary works.